Imagine working really hard the first 90 days of your wholesaling journey and not being able to close a single deal. Most people probably would have thrown in the towel and looked for something else to do. But not John Pene. John is a phenomenal new wholesaler whose determination is just extraordinary. Even if he didn’t get to close a single deal the first 90 days of his wholesaling journey, he never gave up. On the contrary, it motivated him to work even harder. Six months in and his determination has been rewarded handsomely—so far, he has bought 9 contracts (7 deals closed and 2 in the works) and earned $20,000 from one of the deals he did. Definitely a fitting reward for his remarkable drive! If you’re considering throwing in the towel, do yourself a huge favor and listen to this truly amazing episode first. 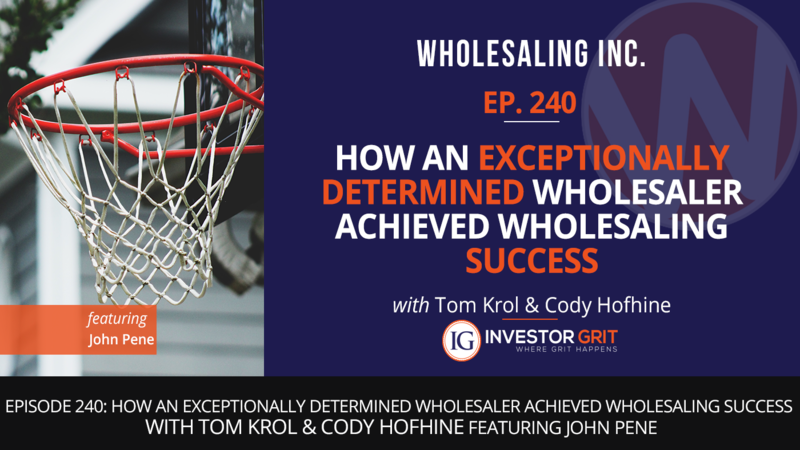 John’s story will surely inspire you to try harder until you achieve that wholesaling success you have been looking for!